The fifth annual Palacios Bayfest begins Friday, October 9th and ends Saturday, October 10th. The show is located in Palacios, Texas. It is about 100 miles southeast of Schulenburg. There will be Arts and Crafts, a Barbeque cook off, motorcycle rally, live music, petting zoo, pony rides, and many other fun activities. We will set up our crafts at this show on Saturday morning. 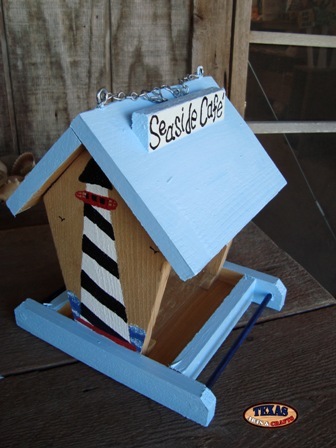 We will be selling bird houses, bird feeders, grandparent signs, funny saying signs, key rack shelves, animal crafts, fall crafts, winter crafts, Halloween crafts, Thanksgiving crafts, and many other cute and fun items. What items we will have for sale depends upon our inventory, and what we can fit into our trailer. For more information about this show visit Palacios Bayfest and The Fifth Annual Cookoff.